The Old Wife’s Well is hidden away in woodland beside the Stape to Egton Bridge road. The well is a spring enclosed within a small stone structure, capped with a large stone slab. The words Nattie Fonten are inscribed across the front of the slab. 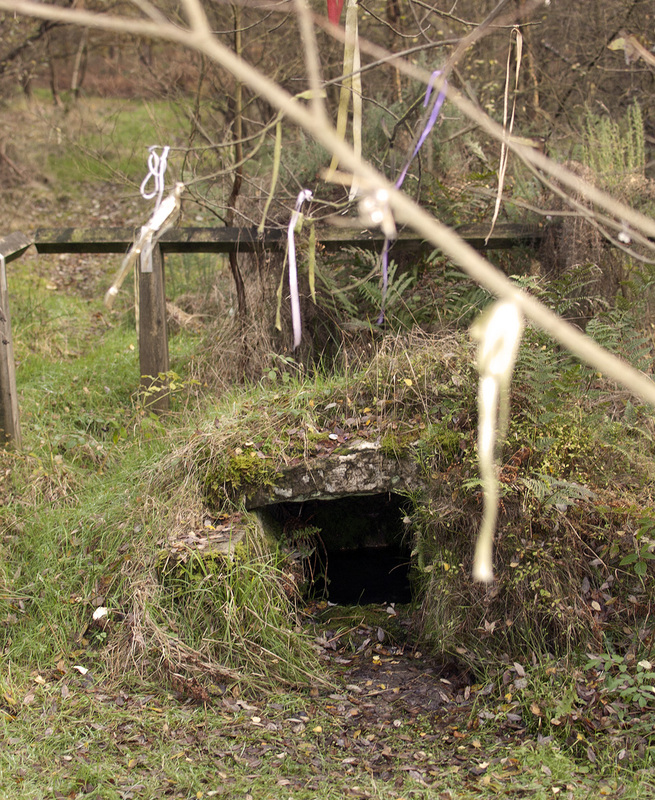 Despite the remoteness of the site, the numerous rags and ribbons (clooties) hanging from the nearby birch trees are evidence that the site is regularly visited. 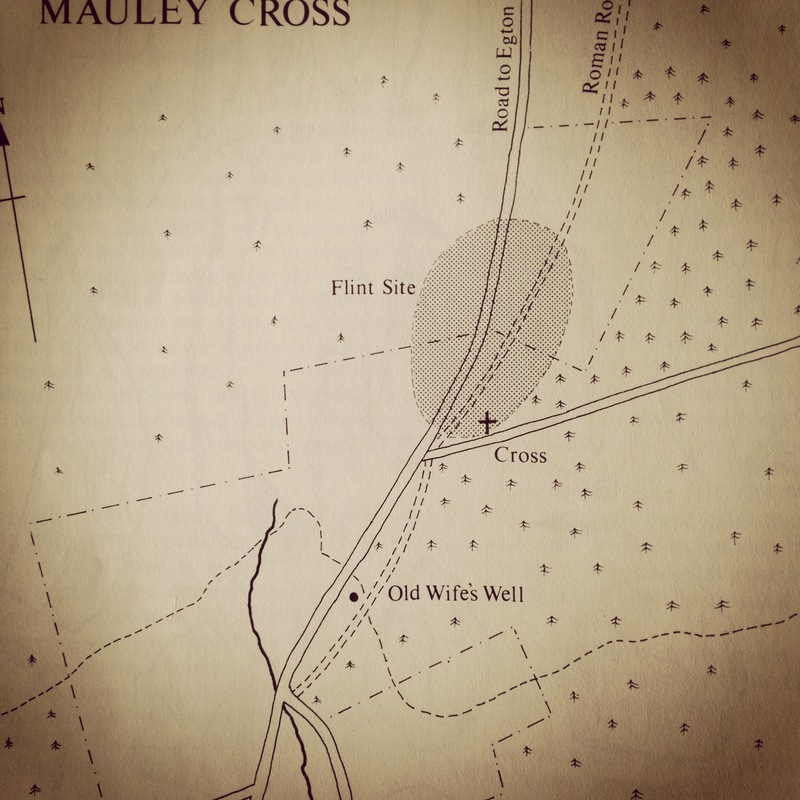 The Old Wife’s Well is situated 200 metres from the large prehistoric site known as Mauley Cross. 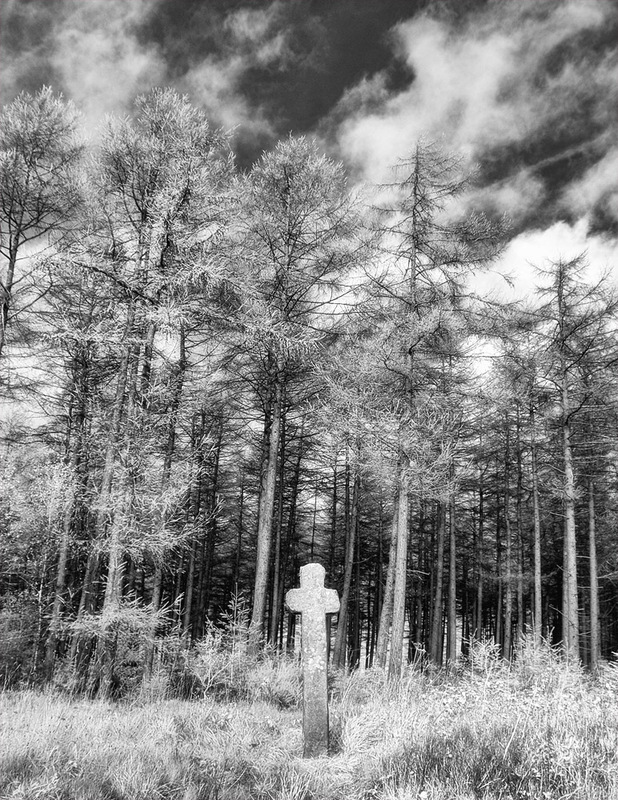 The site was known to flint collectors in the early 20th century, forestry operations and archaeological investigation in the 1950’s & 60’s revealed the extent of the site. Hundreds of flints were recovered from a site measuring 180 x 45m. The flint was described as being mainly Mesolithic in nature but some had Neolithic traits and perhaps even Bronze Age features indicating that the site had a possible occupation period spanning hundreds if not thousands of years. Unlike many Mesolithic occupation sites there is very little running water in the area. However, the Old Wife’s Well is only 200m from the site, it is highly probable that the spring, that feeds the well, may have been the primary source of water for the people living here. The well is also situated a few metres away from a Roman road that ran from Amotherby near Malton via Cawthorn to the Esk valley and possibly Whitby, this route may be prehistoric in origin. The section of the road across the moors is commonly known as Wade’s Causeway but has also been known as Wade’s Wife’s Causey, the Auld Wife’s Trod, Skivik and Gateskichewic. 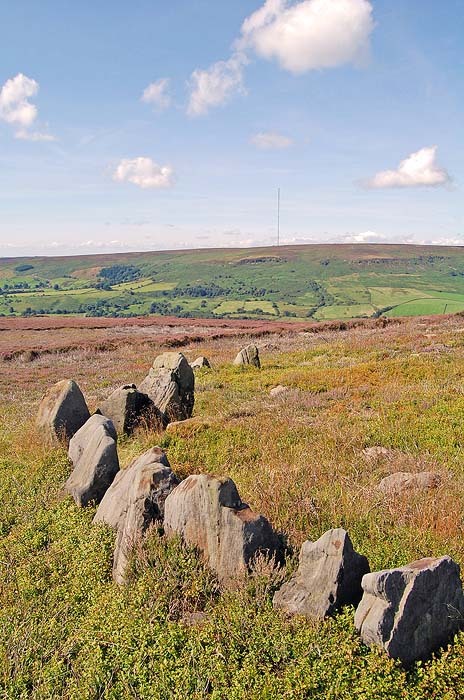 There are a number of sites on the North York Moors whose names include an element of the Old Wife, all are either prehistoric in origin or landscape features e.g. Old Wife’s Stones at Danby and Bilsdale, Old Wife’s Neck (standing stones) on John Cross Rigg, Old Wife’s Howe at Ravenscar, Old Wife’s Hill at Cundall, the Old Wife’s Way leads to the possible ruined stone circle at Blakey Topping. Many who have studied the archaeology and folklore of the moors have speculated that The Old Wife may be a memory of an Indo-European prehistoric Mother Goddess, a Magna Mata. The etymology of the word wife can be traced to the proto-Germanic word Wiban and the middle English Wif which simply means Woman, this can be seen in the modern English words midwife and fishwife. Therefore the Old Wife simply means the old woman. If we look to Scotland and Ireland we find a primal deity called The Cailleach meaning , the old woman or Hag. The tradition of the Cailleach is that of a cosmic figure with geotectonic powers, a supernatural female elder whose power and activities have resulted in the shape of the landscape. Dr Anne Ross described the Cailleach as at once mother, warrior, hag, virgin, conveyor of fertility, of strong sexual appetite which led to her seeking mates amongst mankind equally with the gods, giver of prosperity to the land, protectoress of the flocks and herds. More static and more archaic than the gods. The Cailleach’s name is not unknown in Yorkshire. 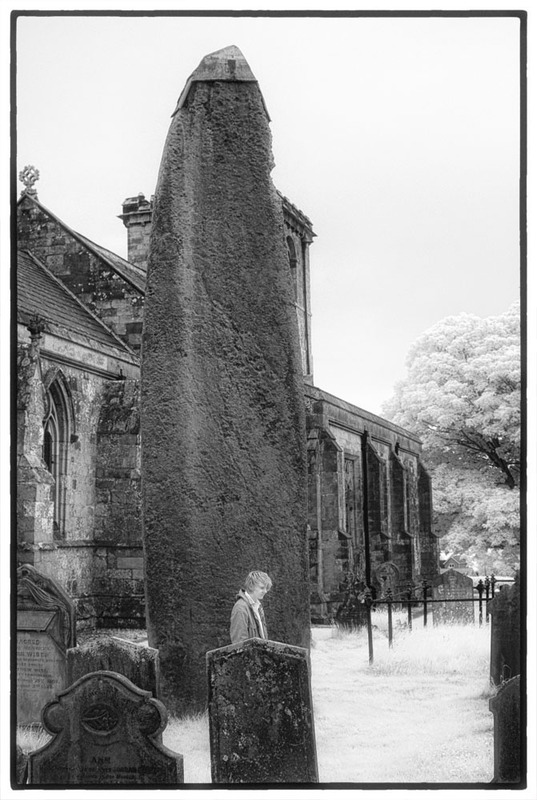 At Rudston, home to Britiains tallest standing stone, that tale is told of the annual death of the Goddess. The Cailleach represents winter, her death heralds the start of spring when the Goddesses youthful form, Bride, arrives. Bride, Brid, Brig, is well represented on the North York Moors. 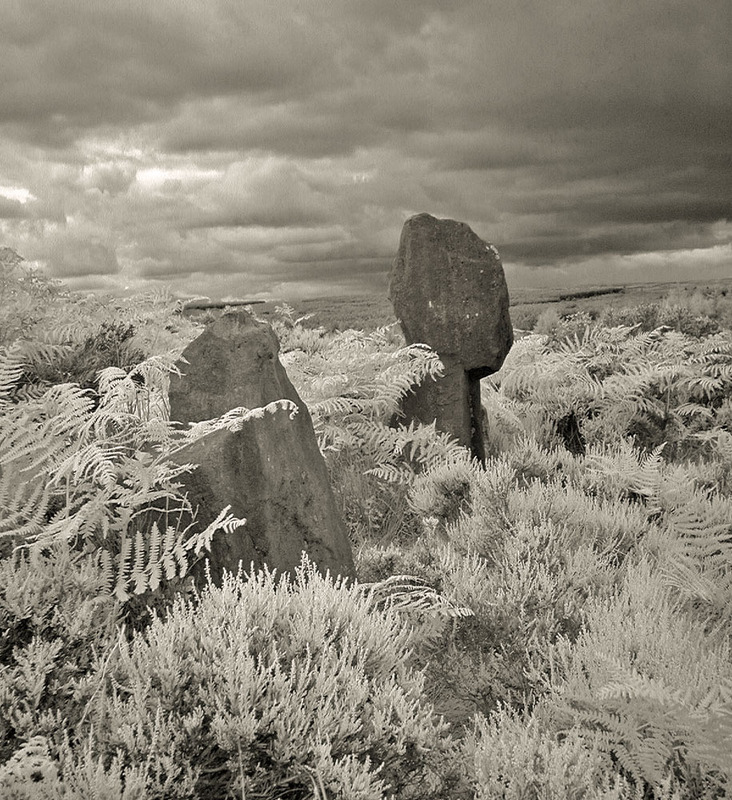 There are several clusters of standing stones on the moors called the Bride Stones. There is speculation as to whether Bride was the Mother Goddess of the Brigantes, an Iron Age tribe whose lands stretched from the Humber to the Cheviots and have left Brides name in such towns as Bridlington, Briggswath, Brigg, Brigham and Brighouse. Bride was later accepted into the Christian calendar as St Brigit. Her feast day called Imbolc is the 1st of February. I would urge you to keep the tradition alive and seek out this beautiful old well. The Clooties hanging from the trees testify to our primitive urge to make votive offerings acknowledging the genius loci of the well but please don’t leave any tat, many sites have been ruined this way. The Golden Rule – Take only pictures, leave only footprints. This Post was posted in Archaeology, Folklore, Moorland Cross, North York Moors, Prehistoric, Roman, The Old Wife, Well, Wheeldale and tagged archaeology, Bride, Cailleach, North York Moors, Prehistoric, Standing Stones, The Old Wife, Wells. Bookmark the permalink. A very well written article about a beautiful site that I visit regularly.